If you are looking for a new vehicle in the new year, chances are you have at least glanced at the new 2015 Dodge Dart. 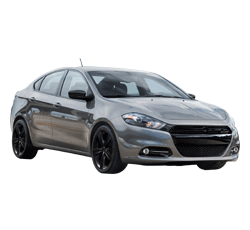 The 2015 Dart is a well designed, efficient, and economic vehicle with a wide range of excellent features. 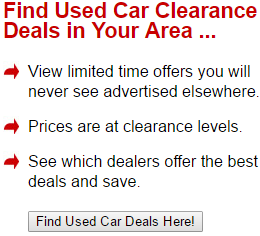 However, as with all vehicles, there are downsides along with the upsides. Unlike some other Dodge models, the 2015 Dart has not received any huge makeovers or changes of features from the 2014. Some changes were made to the electronic interface and entertainment system, including the ability to synchronize with Android smart phones via Bluetooth connection, but very little has changed besides. All of the same great features and options that made the 2014 a winner have been carried on to the 2015, and it has lost none of its high tech appeal going into the new year. Though the Dart isn't really a muscle car per se, it does have a very sleek exterior look. Strong lines and a handsome front combine to make the Dart a car that will draw attention despite its somewhat modest appearance in comparison to some of Dodge's muscle car models. While not always the first thought in the mind of the potential car buyer, safety is a hugely important matter, and the 2015 Dart delivers on it. Besides the airbag system, which features no less than ten bags set to deploy to protect driver and passengers alike in the event of a collision, the Dart can be equipped with parking assistance, blind spot monitoring systems, and even windshield wipers that will automatically come on if moisture is detected. All of these options combine to make the Dart a supremely safe vehicle to drive. The 2015 Dart's interior is designed with an eye toward quality and luxury. Premium materials are combined to create a space that the driver will actually enjoy being in. This has probably been the point on which the reviews of the 2015 Dart have raved the most. The Dart's steering and handling are responsive and nimble, giving you the best highway maneuverability available. When combined which the next feature we are going to discuss, this handling makes the Dart a blast to drive. While both the base engine and the optional upgrade are inline four cylinder engines, the upgrade features a turbocharger system. The base engine is a 2.0L, whereas the turbocharged engine is a 1.4L. This smaller, yet more powerful engine provides significant advantages over the base in both torque and acceleration, particularly from a stop. If you are going to purchase a Dart, this upgrade is highly advisable, as it will greatly increase your satisfaction with the driving experience. On higher trims, there is also the option of a 2.4L engine which provides more horsepower than either of the other two at 184HP (in comparison to 160 on the two smaller engines). Depending on the engine you select, the 2015 Dart can get up to 41 mpg highway, and up to 28 for in city driving. These figures are based on the use of the 1.4L turbocharged engine, and the other two available engines offer slightly less efficiency. Contributing to the fuel efficiency are such features as grille shutters which direct air in the most efficient manner around the vehicle to reduce drag and variable valve timing on all three of the engine subtypes. With MSRPs ranging from $16,495 up to $22,995, the Dart is not the cheapest vehicle on the market, but it is certainly well within the range of affordability for the average buyer. With Dodge offering reasonable financing options, the Dart is within the reach of nearly anyone who wants it. The 2015 Dodge Dart offers two transmission options, one six speed manual, which is standard, and a six speed automatic, available upon request as an optional add on. For the more performance minded buyer, the standard manual is a nice touch, especially given that it is a six speed. The automatic, on the other hand, offers the convenience of not having to actively shift. The 2015 Dart's console and entertainment system are state of the art. With nearly everything now digital and touch screen based, the console offers supreme ease of use. As for the entertainment system, CD players are no longer a standard option, but the new system offer connectivity to nearly every type of smart phone or MP3 player. With a three year or 36,000 mile comprehensive plan and a 5 year or 100,000 mile powertrain plan, Dodge's warranties ensure buyers are well protected in the event of any defect. While the upgraded engines offer a great deal of improvement, the base 2.0L engine is simply too weak for a sportier car like the Dart, and does not provide good responsiveness. Some critics have complained that the seats on the Dart are uncomfortable, especially for long trips. The six speed automatic transmission can be slightly rough when changing gears, although not too bad in comparison to older automatics. With the exception of a few downsides, the Dart offers a good value and excellent features. If there is anything to focus on greatly from the cons, it is the weaker base engine, as this will significantly impact driving experience. On the whole, the 2015 Dodge Dart is an excellent and affordable vehicle, and is well worth looking into for the buyer out to get a new car.